One of the things that often frustrates aspiring traders is comparing their progress to that of other traders. How come I am not winning more? It comes so easy for Sally; what am I doing wrong? Looking at how others are progressing I wonder if I have what it takes to succeed at trading. We’ve all been there; you are not alone. Unless you have personal insight into other trader’s activities you have no idea about their successes / failures or how long they’ve been working at it. Although there exceptions, most folks trumpet successes and go dark after failures. Its natural; it preserves ego and self-worth. Are you sure you are seeing the whole picture? 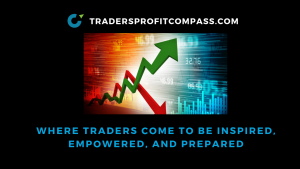 Each aspiring trader embarks on their own personal journey. Each trader’s path is different; not good or bad, just different. If you want to compare, benchmark yourself. Set weekly / monthly goals to work on. Review your progress. In a year you won’t recognize the trader you once were. You’ll be much better. If interested you can find a more complete discussion about “Comparing” under the September 2016 tab to the right. Trading is a craft. Like most crafts, gaining a level of expertise takes time and constant effort. There will be times of almost imperceptible progress and other times where you may take a step back. This is all normal and to be expected. It doesn’t mean your are an idiot. It means you are like everyone else. The important part is grinding through it and not quitting in disgust. If you keep on persevering, you will be rewarded with regular break-throughs. I think the graphic below summarizes it nicely………… we want instant and continuous progress. It feels like we’re going no where. All the while, if we keep going, our competencies are improving as we grind away, Nobody becomes a black belt ninja trader just by showing up. Are there other aspects to becoming consistently profitable? Sure there are; you know that. We will explore many of those things in future posts but none of that matters unless you’re willing to consistently do the work. I think some smart philosopher once stated that “a journey of 1000 miles begins with a single step”. Accomplished trading is a long journey and one that is truly never finished. If you love markets, if you love learning, if you love trying while knowing you’ll often fail, you can do it. Good Luck and hope it helps!